For more than seven years, the firms associated with relatives, acquaintances and partners of the head of PJSC Rivnegaz Petro Dubas systematically have been winning tenders in this area for construction in the social sphere. But as I managed to find out, it’s not just about building social facilities. It turns out that tenders for gasification in settlements, construction of gas pipelines, reconstruction and ongoing repair of gas supply systems, replacement of gas pipelines, construction of boiler houses and gas supply systems have been systematically won by the structures close to the head of Rivnegaz in the past few years. Moreover, the geography of gas works, in addition to the Rivne region, extended to the Lviv and Ivano-Frankivsk regions. Due to the fact that the business close to Petro Dubas wins the tender of Rivnegaz itself, conducts works to order of PJSC Lvivgaz and PJSC Ivano-Frankivskgaz. The first organization to be discussed is LLC Rivneagrospetsmontazh (RASM). According to YouControl service, since 2009, this company has won tenders for more than three hundred million hryvnias. Only last year, it “took” UAH 14.8 million. This company, in particular, won the tenders of PJSC Rivnegaz: for construction of pipelines, installing energy supply and local-level communication lines; additional work (looping of distribution gas networks (1st stage: gas pipeline to the village of Storozhiv, Korets district). RASM, for the money of Rivnegaz, also carried out additional work – construction of the 1 category high pressure gas supply pipeline through the villages of the same district. It also won the tender of Rivnegaz for work on capital repairs of electrochemical protection equipment. In general, if we consider the tenders won by RASM, much is tied to gas works: the company wins the construction of gas pipelines for gasification of щгіштп housing sites in the town settlement of Mlyniv, wins at contests for the construction of boiler houses and heat supply systems in Rivne, receives contracts for the reconstruction of gas supply systems. The firm has also won tenders for the construction of main pipelines, high pressure gas supply pipelines to a large number of villages in different parts of the Rivne region. According to YouControl resource, RASM has won more than 20 tenders in the gas sector. The history of co-founders being owners of the LLC Rivneagrospetsmontazh in recent years leads one way or another to the Chairman of the Board of PJSC Rivnegas. One of the co-founders of the company was Petro Torhun, who simultaneously worked as the Deputy Director at Rivnegaz, and today he occupies the position of the Capital Construction Director. Subsequently, when Mr. Torhun ceased to be an owner of RASM, Vira Lopachuk, mother of Tamara Dubas, wife of the CEO of Rivnegaz, became a co-founder. Oksana Lialchuk, about whom I will mention below, was also among co-owners. At present, Valentyn Lopachuk, brother of Tamara Dubas, is registered as a co-founder. And Roman Melnyk, who is the Director of RASM. Thus, LLC RASM systematically won tenders, in particular in the gas sector, in past years, it was connected with relatives and employees of the head of Rivnegaz, and now Petro Dubas’s wife’s brother is registered as a co-founder. Director of RASM, Roman Melnyk is also registered as a co-owner of LLC Hunting Farm Liubomyrske. Another co-founder is Mykola Polishchuk. As Nashi Groshi has established, he headed the Dubno Department of Rivnegaz in the past. Oleksandr Overchuk is appointed the third co-owner of LLC Hunting Farm Liubomyrske. According to YouControl service, he is also a co-founder of LLC Firma-Odiah. In the past, Maryana Petrivna Overchuk, Petro Dubas’s daughter, was among co-owners of this organization. It should be noted that the daughter of the CEO of Rivnegaz was also registered as a co-founder of LLC Law and Patent Firm Inlex in 2015-16. At the end of last year, this company started its victorious campaign at tenders, and has already won two competitions: for the reconstruction of the gas supply system for fuel and for the current repair of the gas supply system of the rural health post of the village of Mnyshyn. Different firms are added, and the main thing here – the links between business owners. As is well known, Rivnegaz, like Lvivgaz and Ivano-Frankivskgaz, is controlled by structures close to the oligarch D. Firtash. In view of this, it is not surprising that RASM, close to the long-term manager of Rivnegaz, carried out works on repair of capital gas networks to order of OJSC Lvivgaz. In addition, with PJSC Ivano-Frankivskgaz has entered into a contract with RASM – on replacement of gas pipelines. That’d be okay, however, Nashi Groshi journalists, a few years ago, found that LLC Rivneagrospetsmontazh systematically theatricalized tenders with other companies that led one way or another to the manager of Rivnegaz. In particular, LLC Firm Oporiadrembud was mentioned. According to YouControl service, the last company won tenders for the total amount of more than UAH 303 million. Firm Oporiadrembud also won tens of millions for the repair of heat supply systems for the installation of a metering node and regulation of heat energy in kindergartens and schools. Last year, PJSC Rivnegaz also selected this company in the tender for equipping the customer service center in Zdolbuniv, and the last won tender – in 2018 – was from Rivnegaz too. In the past, the wife of the CEO of Rivnegaz Tamara Dubas was among founders of this organization. The current director of RASM Roman Melnyk was also registered as a co-owner. And also Liubov Yaselska, wife of Petro Torhun, who was a co-founder of RASM. As of today, Oksana Lialchuk – who was also a co-owner of RASM in the past – is one of co-founders. According to YouControl, from 2006 to 2015, LLC Firm Oporiadrembud and LLC RASM had the same legal address, even the same phone number. Today Firm Oporiadrembud is registered in the city of Rivne, 5 Budivelnykiv St., and Rivneagrospetsmontazh – on 7 Budivelnykiv. The last address is also indicated for Hunting Farm Liubomyrske, the same phone number – 0362246351 is also indicated. The mentioned Law and Patent Firm Inlex, which has already begun to win tenders for gas supply, and in which Petro Dubas’s daughter was registered earlier as a founder, is registered nearby – 9 Budivelnykiv St. If we review the tenders, in which both gaskets – LLC Firm Oporiadrembud and LLC Rivneagrospetsmontazh – took part, their permanent “competitor” is of special interest. That is LLC Teploproektmontazh. By estimates, since 2011, the latter organization has won over UAH 47 million. The firm won the tenders, in particular for the construction of main pipelines, communication lines and energy supply, high pressure gas supply pipelines, the construction of autonomous boiler houses and heat supply systems, the construction of a boiler house with solid fuel boilers, and the reconstruction of the commercial gas metering unit of Rivne production services shop. LLC Teploproektmontazh is now registered at the address already familiar to us – 9 Budivelnykiv St. The previously mentioned Liubov Yaselska, the wife of Petro Torhun, Capital Construction Director of PJSC Rivnegaz, was among co-founders. It doesn’t matter how many times other people are registered as owners of the firms, the threads will still lead to Rivnegaz. Thus, today, the share of 96.8% in RASM – which is UAH 8,579,892 – is owned by Khrystyna Lotysh. Previously, this share belonged to Vira Lopachuk – the mother-in-law of Petro Dubas. Khrystyna Lotysh is registered in Lviv, on the Mazepy Street. Well, Rivnespetskomplektatsiya is also registered at the address of RASM – 7 Budivelnykiv St. According to YouControl, it was founded in 2004 by Oleksandr Petrovych Torhun (probably the son of the current Capital Construction Director of PJSC Rivnegaz) and Ivanna Lotysh. The registration of the latter is the same as the registration of Khrystyna Lotych. And by the way, Liubov Yaselska and Valentyn Lopachuk managed to administer Rivnespetskomplektatsiya. And to be completely sure, Andrii Sakhniuk is indicated as the Director of Rivnespetskomplektatsiya. The same person is also the head of Subsidiary Agrospetskomplekt of Limited Liability Company Rivneagrospetsmontazh. And Petro Dubas’s mother-in-law Vira Lopachuk is indicated as the ultimate beneficiary owner of this subsidiary. Small Private Enterprise Transformator is the fourth firm that systematically competed with LLC Firm Oporiadrembud, LLC Rivneagrospetsmontazh and LLC Teploproektmontazh. To date, this firm continues to “take tenders”. It has one founder – Oleksandr Klymchuk. I managed to find information on awarding the Certificates of Merits of the Rivne Regional State Administration for “long-term conscientious work, a significant personal contribution to resolving the issues of gas supply and gasification, on the occasion of the 50th anniversary of the establishment of PJSC Rivnegaz and the professional holiday – the Day of Workers of Oil, Gas and Oil Refining Industry. And Oleksandr Klymchuk is indicated among the awardees. His position as of 2011 – Chief Engineer of the Zdolbuniv Department of Operation of Gas Facilities of PJSC Rivnegaz – is indicated. Transformator has already won tenders for UAH 26,212,247. These are major repairs of heating systems, and repair of heating networks, and construction of main pipelines (the gas supply pipeline to the villages of Porubka, Zaluzhzhia, Uzlissia, Berezhky, Syniv, Buderazh of the Durovytskyi and Zdolbunivskyi districts of the Rivne region). 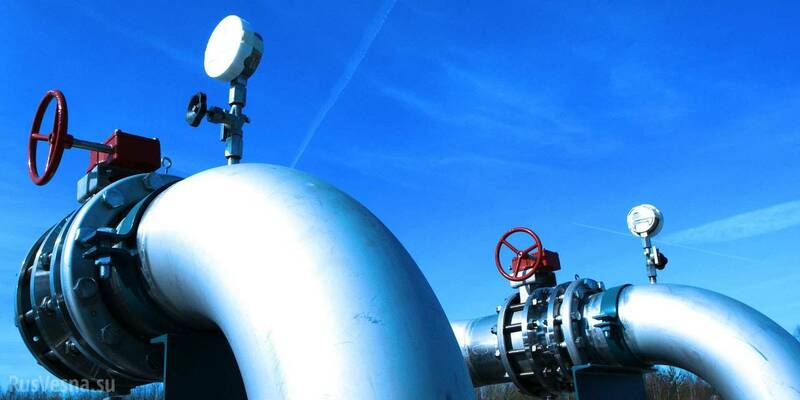 Construction of gas pipelines and main pipelines was financed by NJSC Naftogaz of Ukraine. As Antonina and Volodymyr Torbich discovered for the Investigation. Info project, only from 2009 to 2012, for financing the gasification of villages, National Joint-Stock Company Naftogaz of Ukraine spent UAH 1.6 billion from the state budget. The companies related to relatives, acquaintances and partners of CEO of Rivnegaz Petro Dubas decided on the winner of tenders among each other and only some participated in competitions. Meanwhile, the relatively new firm – LLC BC Dominant LTD continues to make its place in the tendering market. According to YouControl, it was established only in 2016. And immediately takes a lot of contracts. As of today, BC Dominant has already won UAH 30,777,111. The firm has won tenders both for the construction of pipelines, for gas supply pipelines, and for the repair of heating systems. Right there you also have major repairs of gas supply systems for residential buildings. And, of course, it gets contracts from PJSC Rivnegaz – thus, in 2017, I found four such purchases. The co-founder of BC Dominant is Vladyslav Kuchman. Vse-Tobi-Zrozumilo edition conducted an investigation, and found that Mr. Kuchman is an active employee of PJSC Rivnegaz. And that Firm Oporiadrembud is periodically a “sparring partner” of BC Dominant. And maybe it’s already a tradition that BC Dominant was registered at the address: Rivne, 7 Budivelnykiv Street. The schemes, by which close firms win tenders, are quite simple and banal. Thus, having analyzed the contests, in which our figurants participated, it is possible to distinguish several regularities, thanks to which it is possible to get a good round sum in the account. Scheme 1: Withdrawal From a Contract and Low Price. The tender for the construction of the pipeline of the enterprises of the Rivne City Council KATP-1728 clearly illustrated how this method works. At the real market price, in accordance with the design and estimate documentation, in more than UAH 4 million 300 thousand, the tender is filed by LLC Firm Oporiadrembud, and offers to perform the work for UAH 3 million 120 thousand. This price, accordingly, removes other potential competitors. After all, other companies, having learned about the proposal of Oporiadrembud, simply decide not to spend time on the registration and filing of documents for the competition and refuse to participate in it – because they cannot offer such a low price. BC Dominant, together with Oporiadrembud, competes in the tender. Of course, Oporiadrembud wins. However, since it is unprofitable to do work at such a low cost, the company refuses to sign the contract. Accordingly, LLC BC Dominant is chosen as the winner – although the issue price is UAH 4 million 184 thousand, that is, more than a million from the offer made by LLC Firm Oporiadrembud, a proposal that has taken away the desire of other competitors to apply for a tender. A similar method, for example, was also used at the tender of the Vyrivka Village Council in the Rivne region. The competition was held for the construction of the school. LLC Firm Oporiadrembud offered a price of UAH 39 million 600 thousand, which is the lowest. However, subsequently withdrew its offer, the next firm refused too, and the winner was LLC RASM. Although its proposal was significantly higher – UAH 48 million 880 thousand. Such a technique is well illustrated by the tender for construction of a gas pipeline in the village of Berezhnytsia in the Rivne region, which was held by LLC RASM. At first, the firm offers a very low price, and accordingly, it removes the offers of other tenderers. RASM wins by offering to build a gas pipeline for the amount of about UAH 15 million. However, after the signing of contracts, for some time, RASM signs an additional agreement with the village council. For more than UAH 4 million. So, it turns out that such a low initial price was more likely to sift competitors and win a competitive bidding. This technique is clearly illustrated by competitive bidding of the Education Department of the Executive Committee of the Kuznetsovsk Town Council of the Rivne region. The winner is Oporiadrembud, which undertakes to reconstruct the school for UAH 9 million 912 thousand. The offer of PE IBK Dedal has been rejected. Although the latter company offered to perform the same work for UAH 3 million 580 thousand. What savings in the budget of the town council it could be. However, the educators rejected the proposal – found a pretext that the firm filed a wrong document among the entire package of documents. They provided the Declaration of Conformity with Legal Requirements, but the Permit of the State Committee was required – as to the same requirements. This technique is banal and famous. For many years, it has been used by the Department of Construction and Architecture of the Rivne Regional State Administration. Contracts are concluded without a tender – RASM got contracts in such a way (for example, for the construction of a school in the village of Zarichne in the Rivne region) or Oporiadrembud (among the contracts concluded – for the reconstruction of the policlinic in village of Volodymyrets, Rivne region). Various factors may be the reasons for non-competitive procurement procedures (procurement from one participant): from the allocation of money at the end of the year to performing works following up the previous tenders. - I did not receive responses from LLC Firm Oporiadrembud, LLC Rivneagrospetsmontazh, LLC Teploproektmontazh, LLC BC Dominant and SPE Transformator to my requests. In response to a request, PJSC Rivnegaz sent an explanation that the information requested does not fall within the scope of the Law of Ukraine On Access to Public Information. I also applied to the Rivne Regional Territorial Office of the Antimonopoly Committee of Ukraine with a request to inform if they see systematic violations in the fact that the “close” to each other companies periodically theatricalize a large number of tenders. The companies connected with each other continue to theatricalize tenders, simulating competition. Gas contracts go to companies that are somehow close to the CEO of Rivnegaz. The power in the country has changed, the schemes remained the same.